Unconventional gas refers to natural gas that requires advanced production methods. Main types include gas within tight pore spaces - shale gas and coal bed methane - and gas that is trapped in ice on the sea floor - gas hydrates. Natural gas is a hydrocarbon gas formed over thousands of years from the burying of dead plants and animals. The intense heat and pressure caused by the burying of this material triggers a reaction, which leads to the creation of natural gas, primarily methane. Natural gas is referred to as ‘unconventional’ if it relies on special or advanced production techniques to be extracted. This is due to the way the natural gas is deposited Canadian Association of Petroleum Producers (2015) "Natural Gas Development"http://www.capp.ca/canadaIndustry/naturalGas/Conventional-Unconventional/Pages/default.aspx Canadian Association of Petroleum Producers (2015) "Natural Gas Development"http://www.capp.ca/canadaIndustry/naturalGas/Conventional-Unconventional/Pages/default.aspx Canadian Association of Petroleum Producers (2015) "Natural Gas Development"http://www.capp.ca/canadaIndustry/naturalGas/Conventional-Unconventional/Pages/default.aspx Canadian Association of Petroleum Producers (2015) "Natural Gas Development"http://www.capp.ca/canadaIndustry/naturalGas/Conventional-Unconventional/Pages/default.aspx Canadian Association of Petroleum Producers (2015) "Natural Gas Development"http://www.capp.ca/canadaIndustry/naturalGas/Conventional-Unconventional/Pages/default.aspx . The term ‘shale gas’ refers to natural gas that is trapped underground in shale deposits. Shale is a fine-grained, very porous rock. While shale deposits have lots of empty spaces to store natural gas, these empty spaces are not well connected which makes extracting the trapped natural gas difficult Alberta Energy (2015) "Shale Gas"http://www.energy.alberta.ca/NaturalGas/944.asp Alberta Energy (2015) "Shale Gas"http://www.energy.alberta.ca/NaturalGas/944.asp Alberta Energy (2015) "Shale Gas"http://www.energy.alberta.ca/NaturalGas/944.asp Alberta Energy (2015) "Shale Gas"http://www.energy.alberta.ca/NaturalGas/944.asp Alberta Energy (2015) "Shale Gas"http://www.energy.alberta.ca/NaturalGas/944.asp . Similar to shale gas, tight gas is natural gas that is trapped in a rock that does not allow the gas to easily move through it Rigzone (2015) "What is Tight Gas, and How is it Produced? "http://www.rigzone.com/training/insight.asp?insight_id=346&c_id=4 Rigzone (2015) "What is Tight Gas, and How is it Produced? "http://www.rigzone.com/training/insight.asp?insight_id=346&c_id=4 Rigzone (2015) "What is Tight Gas, and How is it Produced? "http://www.rigzone.com/training/insight.asp?insight_id=346&c_id=4 Rigzone (2015) "What is Tight Gas, and How is it Produced? "http://www.rigzone.com/training/insight.asp?insight_id=346&c_id=4 Rigzone (2015) "What is Tight Gas, and How is it Produced?"http://www.rigzone.com/training/insight.asp?insight_id=346&c_id=4 . Gas hydrates are gas molecules that are encased in ice. These are naturally occurring structures that can be found in permafrost sediments in the Arctic, or buried in sediment deep under water CGG (2015) "Gas Hydrates"http://www.cgg.com/default.aspx?cid=3527 CGG (2015) "Gas Hydrates"http://www.cgg.com/default.aspx?cid=3527 CGG (2015) "Gas Hydrates"http://www.cgg.com/default.aspx?cid=3527 CGG (2015) "Gas Hydrates"http://www.cgg.com/default.aspx?cid=3527 CGG (2015) "Gas Hydrates"http://www.cgg.com/default.aspx?cid=3527 . When coal forms, various gasses are created, including methane gas. This gas is absorbed into the buried coal, and is referred to as coal bed methane which can only be extracted if the coal is depressurized Alberta Energy (2015) "About Coal Bed Methane" http://www.energy.alberta.ca/naturalgas/754.asp Alberta Energy (2015) "About Coal Bed Methane" http://www.energy.alberta.ca/naturalgas/754.asp Alberta Energy (2015) "About Coal Bed Methane" http://www.energy.alberta.ca/naturalgas/754.asp Alberta Energy (2015) "About Coal Bed Methane" http://www.energy.alberta.ca/naturalgas/754.asp Alberta Energy (2015) "About Coal Bed Methane" http://www.energy.alberta.ca/naturalgas/754.asp . Because it is more difficult to extract, unconventional natural gas can only be extracted if special technology is developed, and if people are willing to pay enough for gas to justify the extra extraction costs. Typically unconventional resources cost more to extract than conventional methods. Advances in unconventional production technologies have drastically changed the world's energy landscape by making previously hard-to-access oil reserves more economically recoverable. These advancements have triggered changes in global oil supply, demand and transport. The biggest controversy surrounding unconventional natural gas is the way in which it is extracted. New techniques have been developed, notably fracking, however the side effects of these methods are not yet fully understood and, as such, a great deal of controversy exists around their production. One of the greatest concerns regarding the use of any fossil fuel is the emission of gasses that can contribute to global warming. Burning natural gas for energy emits gasses including nitrogen oxide and carbon dioxide. In addition, methane is a potent greenhouse gas itself. Sorry, we do not yet have a video specifically for Unconventional Gas. We are adding new videos to StudentEnergy.org weekly, but in the meantime check out this video on Natural Gas. Over the last decade, fracking has become a popular technique to harvest natural gas. Despite its environmental concerns, fracking offers a promising path to more sustainable energy sources. 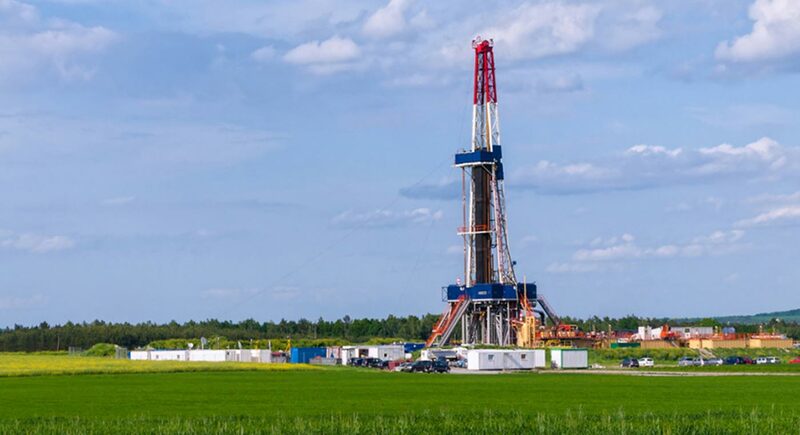 Shale Gas or Tight Gas is natural gas trapped in rock formations that have smaller pore spaces and lower permeability than traditional reservoirs. These formations require hydraulic fracturing for production. Gas Hydrates are compounds where methane (CH4) molecules are trapped within the crystal lattice structure of ice. They occur in permafrost, on submarine continental slopes and in deep ocean floor sediment.